Midwest Blog – Indiana has been dealing with asbestos problems in their government lately. The issues began surfacing in October 2017 and continue to make headlines today. Asbestos was found in the Madison County Government Center during installation of new heating and cooling systems that were to replace 40-year-old equipment. As a result of the finding, the county had to relocate its offices during the $3.5 million remediation project. Seven months later, the project is taking longer than expected and is running over budget by anywhere from $600,000 to $1.4 million. The third- and fourth-floor offices are slated to be ready by the planned July 1 completion date, but the other floors are behind schedule because even more was found in the building. The downtown government center was constructed in 1973 during a time when asbestos was still being used for insulation and fireproofing material despite the fact that it was becoming apparent that exposure could cause serious health problems. 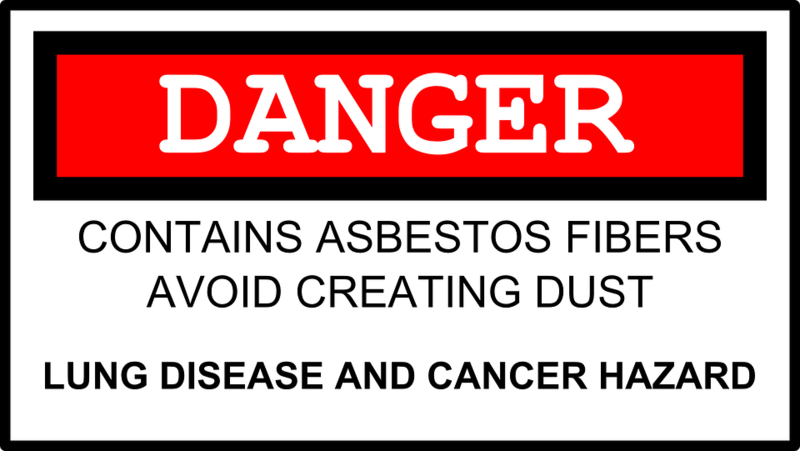 By 1990, most asbestos and lead-based materials were banned from being used in construction. If inhaled, the fibrous mineral can cause serious illness, such as mesothelioma — which is cancer of the chest and abdominal lining — lung cancer, and irreversible scarring of the lungs. Each year, about 3,000 people are diagnosed with mesothelioma. It takes the disease decades to develop and there’s no way to treat exposure. The state of Indiana and the federal government have numerous asbestos-related laws to protect workers and the general public. All buildings must be inspected for asbestos by an Indiana-licensed inspector before any renovation or demolition activities can occur. But this brings up a larger question: Where else can asbestos be found other than just old buildings? You might be surprised. Asbestos is not illegal in this country. Many countries, including the U.S. and Canada, cannot mine or export the raw fiber, but according to law firm Baron & Budd, asbestos isn’t entirely banned from importation to the U.S. and is still widely used in the industry. The lawyers point to the claims that Claire’s jewelry used asbestos in its children’s glitter products. Two months ago, news came out that Claire’s planned to file for bankruptcy after tests revealed contaminated talc was indeed found in Claire’s makeup. Despite the company’s previous denial of reports of asbestos-laced products, Claire’s issued a recall of nine products in December 2017. In another case in April, a judge ordered Johnson & Johnson to pay $117 million in damages to a New Jersey man after finding he developed mesothelioma from inhaling asbestos particles over decades of using Johnson & Johnson talcum powder products. Various courts over the years have awarded millions of dollars to other victims who developed mesothelioma after using similar talc products from other companies. Talcum powder, or talc, is a soft rock mineral that’s ground up and used in many consumer and industrial products, including chalk, soap, rubber, drywall, plastics, and crayons. Talc with tremolite (a form of asbestos) in it can cause cancer. However, contaminated talc is not supposed to be used in modern consumer products. The problem is that talcum powder is often found in mines near deposits of a deadly form of asbestos called tremolite. Talc and tremolite have similar mineral characteristics. Talc is now inspected for the presence of tremolite, but people who used talc products in the past could have been exposed to asbestos. Plus, there are still reports that indicate people could be getting exposed to asbestos through some types of talcs produced today. Whether it’s through old construction or common household products, asbestos problems continue to be a global problem, not just an Indiana problem. Asbestos can be found just about anywhere. Hopefully, Madison County’s newly renovated and remediated courthouse will be good to go for employees to move into in the next few months.